Invitation to the book presentation. “Interpreting the Seventh Century BC. Tradition and Innovation”, edited by Xenia Charalambidou and Catherine Morgan, will be presented by Professor John Bennet, Professor Nota Kourou, Dr Samuel Verdan and Dr Sylvian Fachard. 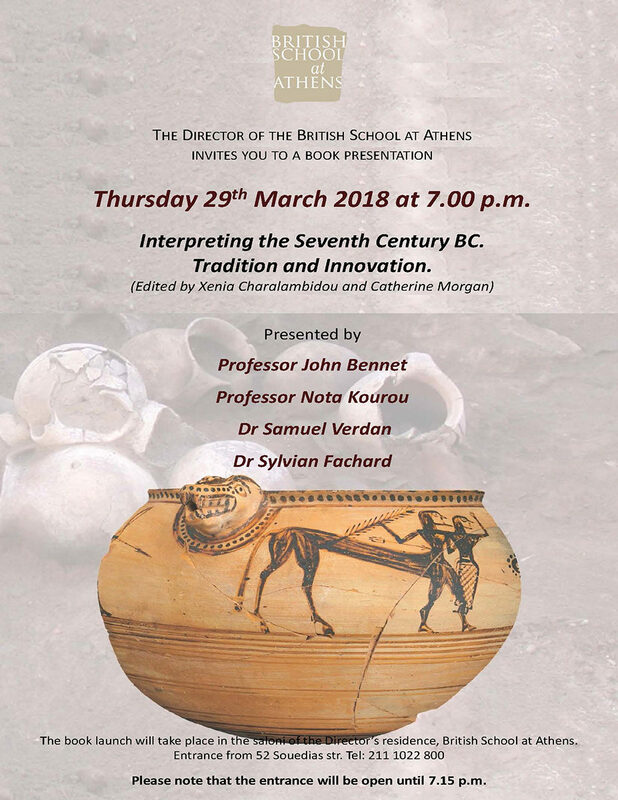 Book presentation organised by the British School at Athens.